Circa 1760. 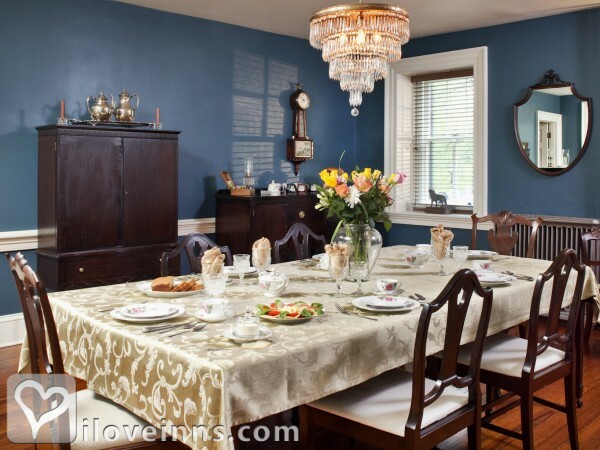 Secluded in a valley in Lancaster County, just minutes from Pennsylvania Dutch Country, Speedwell Forge B&B sits on 120 acres along a creek with a cornfield, wolf sanctuary and woodlands in Lititz, Pennsylvania. Built in 1760, this historic Colonial Federal stone house is listed in the National Register of Historic Places. It has been painstakingly restored to maintain the quality craftsmanship it originally reflected. 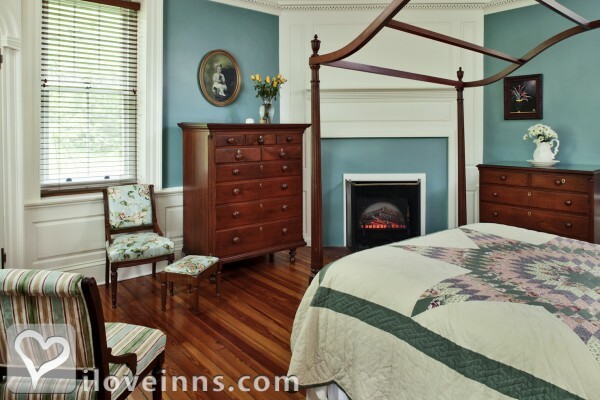 Family heirlooms and antiques accent the interior. 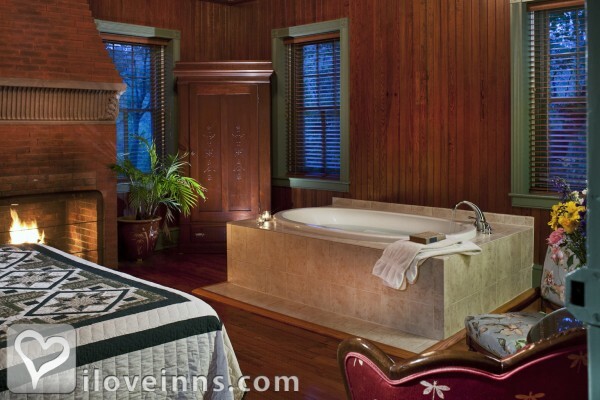 Some of the accommodations feature a fireplace and whirlpool tub. The two cottages include a kitchenette. Before exploring the area, start each day with a three-course breakfast. In the evening gather to indulge in a choice of desserts. Payment Types Accepted Include Visa, American Express, Discover and Master Card. This property has 6 total guest accommodations with private bath, 4 with fireplaces, 3 with whirlpools, 3 cottages and 1 conference room. 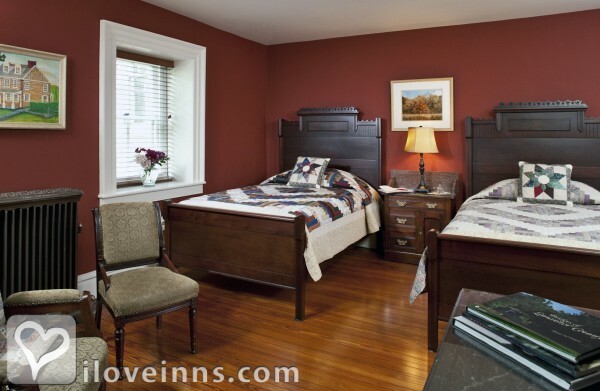 The types of beds available include Double, Queen and King. We have two dogs and several cats. An historic stone mansion set on 120 acres sharing the grounds with Wolf Sanctuary of PA. Come home to a simpler way of life. A treasure awaits. -Homemade laundry detergent and glass cleaners. -We recycle. -We are miles conscience regarding food we serve. -We buy local foods and local grass fed cow milk in returnable glass containers. -Indoor public lights are turned off at 10pm. -We use LED bulbs. -We return empty boxes to the store for reuse. -Collect lawn, garden and yard waste for re-use on site. -Our antiques are all family pieces. -Donate used clothing and linens to local charities. -Return bags to grocery store. -Pay bills online and receive statements. 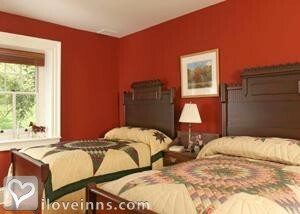 -Guest rooms are individually heated. -High efficiency hot water and steam boilers. -Ask guests to help us conserve water and turn lights off when not in use. 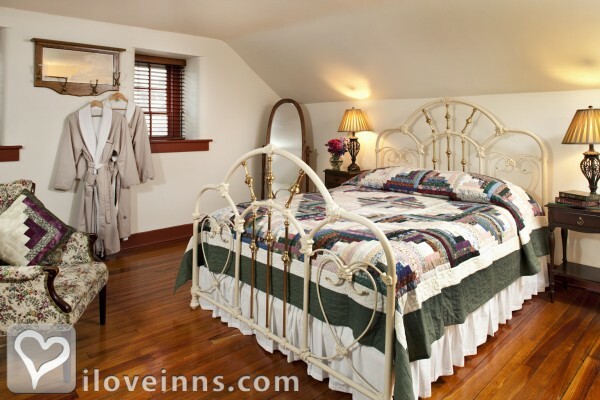 -Ask guests to re-use towels and linens. -Cloth napkins. 120 acres includes a cornfield, wolf sanctuary, wetlands, woodlands, an old barn, and several historic buildings. The lake and county park, adjacent, are perfect for picnics. We require a two night stay on weekends and most holidays. Visitors 18 and over, only. No Children. No Pets. All rooms maximum occupancy of 2, no exceptions. Thank you. 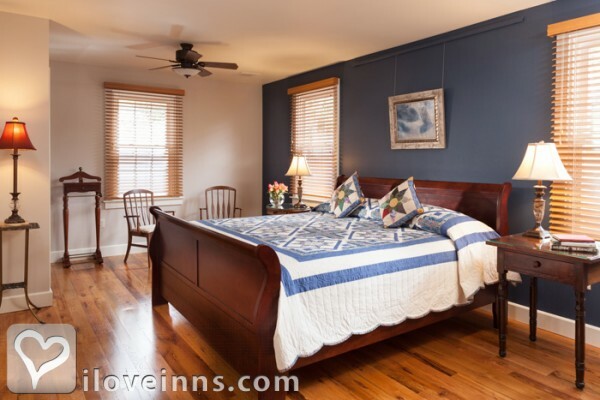 When a guest makes a reservation for a stay at Speedwell Forge B&B we agree to turn away all other requests for the room you select and you agree to pay the rate quoted for the number of days you reserve it. A small bed and breakfast such as ours is significantly affected by cancellations and we appreciate your consideration of our policies. We adhere to a strict cancellation policy. Cancellations made prior to the 10 day arrival deadline will be refunded their deposit less a $35 non refundable cancellation fee. Cancellations made within 10 days or your arrival date will lose their deposit. Cancellations made two days or less will be charged the full amount of the reservation unless we are able to re-rent the room. This includes "No-shows" and premature check-outs. Vacation Insurance is available from several providers online to inexpensively protect you against unexpected events. We will make every effort to re-sell the room so that you may receive a refund. Note: Longer cancellation periods will be applied to multi-room bookings. Please call for information. Cancellations must be made directly by calling and speaking to an innkeeper or by e-mail with a confirmed response. Listed on the National Register of Historic Places and the Lancaster County Historic Preservation Site. Built in 1760 by iron master James Old and expanded c. 1795 by his son-in-law Robert Coleman, the mansion reflects both early Colonial and Federal (Georgian) architecture. Beautifully restored in 2006, the mansion has been nominated for several preservation awards. My fiance brought me to the Paymaster's Suite as a surprise in January to propose. It was so wonderful. He had arranged with Dawn to come in beforehand and lay out rose petals and light candles. The warm wood finishes were so beautiful, and everything was clean but yet had a rustic touch. Breakfast was delicious and Dawn took us on a tour of the property in the morning, since there weren't any other guests that day. This is the thought and word most often used during our stay at Speedwell. We felt very welcomed and at home from the moment we entered the door. It is a wonderfully relaxing getaway. The home is so beautiful and you can't help but share in the pride and joy that Dawn has for this home. She has the gift of hospitality and does well at being sensitive to the needs of her guests. Her breakfasts are the best ever! We loved Kathryn's room and we have such wonderful memories of our time spent here for 2 nights in January, that we hope we can return again sometime. I think this is the cleanest place I have every stayed, it was amazing. The innkeeper Dawn, pays attention to the smallest details, like super soft and hand ironed sheets. My wife is on a restrictive diet and Dawn accommodated that with no problem at all. This is the 8th B&B we have stayed at and we love it more than all of the rest. Highly recommend it. Oh, there is a wolf sanctuary next door, what fun and oh so cool. Make a plan to visit the Wolf Sanctuary. They rescue wolves and take very good care of them. They have room to run and still behave like a wolf pack. It made our trip even more satisfying. Lititz Record-Express, This Old House magazine (October 2005), Harrisburg Patriot-News (10/30/05), Blue Ridge cable 11 news, ABC Channel 27 Travel.